When Firm Founder Barry H. Zimmer opened THE ZIMMER LAW FIRM in 1993, he saw an opportunity to transform the experience that people have in making an estate plan. He envisioned the creation of an estate plan as the first step in a lifelong relationship with clients as their trusted advisor. 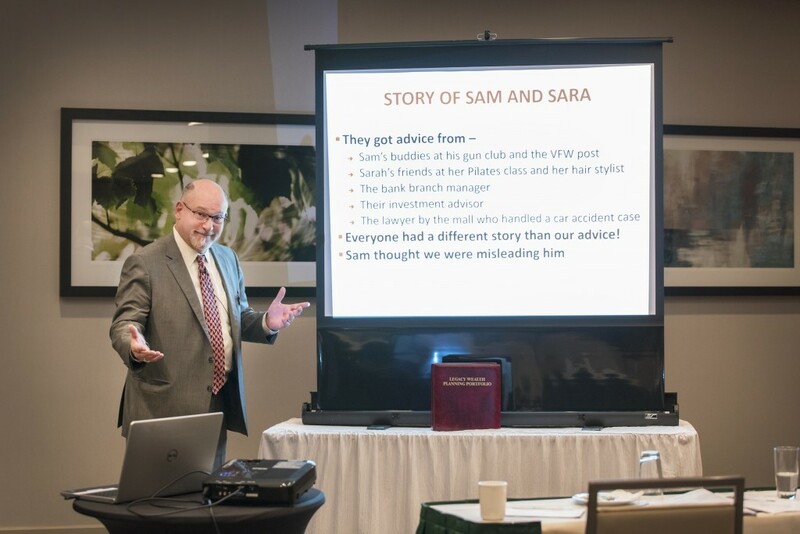 In summary, we want the experience of working with THE ZIMMER LAW FIRM, LLC to be about creating and then staying in Peace of Mind. It begins with a simple six step process to creating an estate plan that de-mystifies the confusing world of Estate Planning in an ever-changing society. After the estate plan is completed, we provide each Living Trust client with our unique Continuum of Care Support Services for life, at no additional cost. We call this comprehensive process ZIMMER™ LAW | ESTATE PLANNING. A Legacy Wealth Plan uses a Living Trust to build a plan based on your beliefs, values and ideals when you pass your wealth to younger generations. Because the best things in life are not things, we at ZIMMER LAW FIRM have pioneered the practice in Greater Cincinnati of Legacy Wealth Planning. A Legacy Wealth Plan is about more than simply using a Living Trust as a roadmap for the distribution of property after death, or about saving taxes and avoiding probate. A Legacy Wealth Plan uses a Living Trust to build a plan based on your beliefs, values and ideals when you pass your wealth to younger generations. Examples may be creating a trust that promotes and rewards education for your heirs, if that is what is important to you. Or you can create a trust that is specially designed to keep family wealth in the family, even in the face of children’s’ divorces, lawsuits, remarriage of a spouse, or inexperienced or spendthrift heirs who may use poor judgment. The opportunities are limitless when you take a holistic view of estate planning by considering what happens to your wealth when heirs receive it, and how the money may affect the lives of your family. We understand that Peace of Mind extends beyond setting up a plan and must include protecting family wealth. That is why we work just as hard in helping families protect their assets from the high cost of nursing care through Medicaid planning and Veterans’ Administration benefit planning. We also help the families of our clients in settling their affairs and carrying out their wishes when the estate plan must be implemented. As a member of the American Academy of Estate Planning Attorneys, THE ZIMMER LAW FIRM is able to offer clients even more value. Members of the Academy concentrate their law practices in the area of estate planning and reinforce their expertise daily by dedicating their efforts to clients concerned with preserving what they have accumulated for future generations. The American Academy of Estate Planning Attorneys was established in 1993 by Armstrong & Fisch, one of the most successful estate planning law firms in the country. 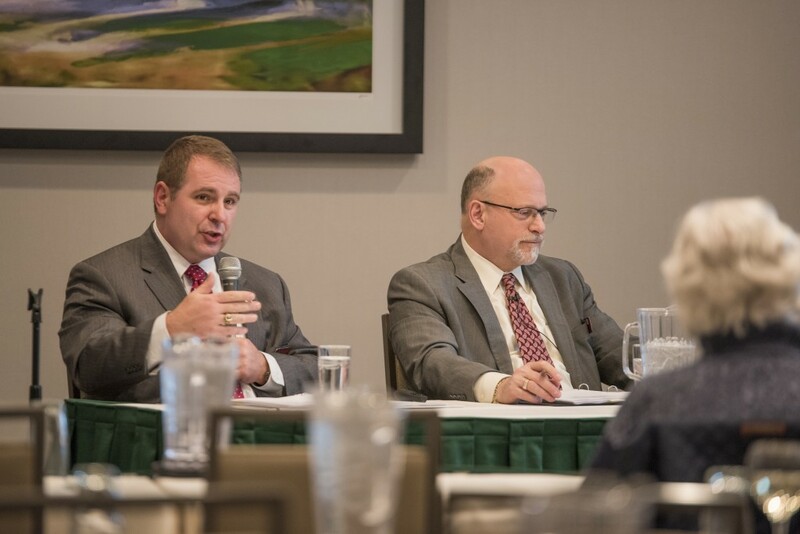 After providing two decades of superior estate planning guidance and advice to thousands of legal clients, the firm decided to share their methods and practices with attorneys nationwide. The Academy is a national organization dedicated to promoting excellence in estate planning by providing its exclusive membership of attorneys with up-to-date research on estate and tax planning, educational materials, and other important resources to empower them to provide superior estate planning services. The Academy expects members to have at least 36 hours of legal education each year specifically in estate, tax, probate and/or elder law subjects. To ensure this goal is met, the Academy provides over 40 hours of continuing legal education each year. The vast network of highly skilled attorneys offers a wide range of benefits to offer you. For example, we can provide you with access to a nationwide network of qualified attorneys who can assist you with out-of-state transfers of title, provide help should you move to another state, or simply offer a referral to an out-of-state friend or family member who needs estate planning help. We are a proud supporter of VIE Ability launched by the Cincinnati Association for the Blind & Visually Impaired. Professional level job opportunities are provided to people who had established careers, but unexpectedly lost their vision later in life. VIE-Ability.org has over 40,000 office products and all of their office supply operations are run by people who are blind or have severe vision loss. Please support this very worthwhile organization by purchasing your office products at Vie Ability.